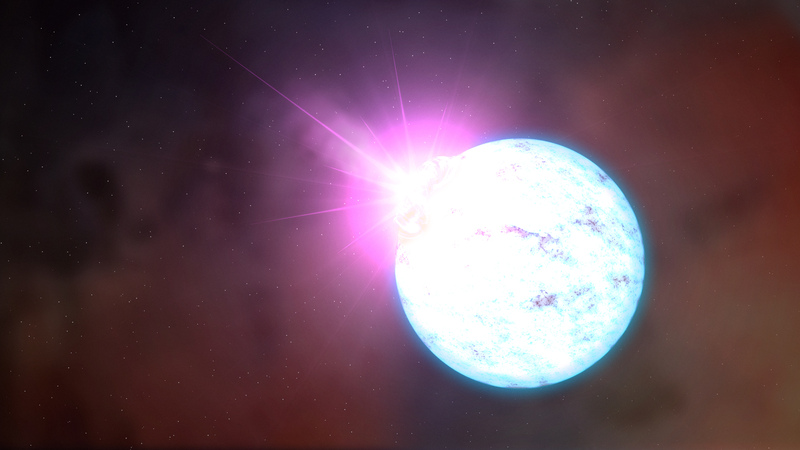 Last week, a pair of Canadians let the world in on something pretty weird: Scores of far-off stars, similar to the sun, were flashing their lights at almost the exact same rate. It’s an intriguing phenomenon on its own, but those researchers took things a step further by suggesting those 234 blinking stars were the work of highly intelligent aliens communicating throughout interstellar space. Over the course of the next week, the response to those claims has been mixed. Leaders in the community around the Search for Extraterrestrial Intelligence (SETI) expressed an incredible amount of skepticism towards the claim. But it’s hard to keep a good aliens theory down. In fact, the point of SETI observations is to follow-up in great detail as a way to confirm or refute their validity. So now, more than a week later, we’re still debating whether there’s something to the strange 234 lights in the night sky. Douglas Vakoch, the president of San Francisco-based METI International, agrees it’s far too early to say this is a sign that E.T. is calling. Vakoch tells Inverse there are positive things to take from this study and the follow-up observations on those hyped stars. Let’s stop right there: If the results are due to human error, then the whole thing gets thrown out. But many scientists think the new study’s findings could be the result of an instrumental error. The stellar pulses were observed using the Sloan Digital Sky Survey (SDSS). If instrumental error is to blame, the new study would inadvertently bring to attention the need to recalibrate the SDSS, and fix the problem to ensure future observations are made soundly. The researchers responded to this claim by pointing out that if there was a systemic problem with the instruments, we should expect to see more of these types of signals emanating from distant stars instead of just the 234 out of 2.5 million the pair actually observed. Furthermore, the pulses were not found in whole galaxies or quasars, but from just individual stars. “That’s one of the positive sides of their study,” says Vakoch, since it supports the idea that they’ve stumbled upon a very unique signal with an artificial origin. Unfortunately, perhaps one of the biggest problems with these signals is that they all work on the exact same pulse rate. “If you take a step back,” says Vakoch, “that would mean you have 234 independent stars that all decided to transmit the exact same way.” The odds that all of these stars — which are of the same stellar class as the sun — would do so is pretty rare. It somewhat raises the likelihood that the cause is extraterrestrial, but it definitely raises the likelihood there’s some kind of instrumental or analytical error going on here. SETI searches often look for a “magical” frequency that reveals the alien activity, and in this case, the authors think they have found that magic pulse rate. Vakoch thinks that it’s just “a stretch of the imagination.” Finding another distinct pulse, coming from other stars, would have perhaps raised the intrigue that aliens were responsible. For context, Vakoch recalls the history behind the discovery of the first pulsar, PSR J1921+2153. It’s original name was LGM-1, which stood for little green men 1 because the astronomers who observed it believed it might be a beacon staged by intelligent aliens. A few months later, of course, the team found another pulsar, and the “LGM hypothesis” was ditched entirely. Vakoch thinks the 234 signals could easily go the same way — we might stumble upon more data that indicates whatever is going on is actually more frequent than we think, and that we might be able to get an explanation that points to a reasonable cause, like a chemical composition in certain stars. “It could be a new, natural phenomenon,” he says. Thats not a bad thing at all. Certainly we’d all prefer to finally learn there is some sort of coordination going on,” says Vakoch, “that there is a galactic club to join,” but even ticking off the things that aren’t caused by aliens helps get us one step further to pinpointing where the aliens actually are.